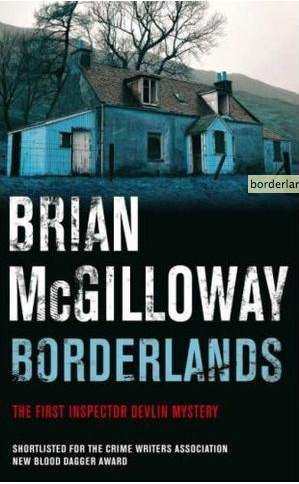 I’ve been making a real effort to seek out debut novels rather than falling back on the authors that I know and love – Borderlands by Brian McGilloway is the latest one I’ve discovered. I’m giving it 3 stars as I was a little bit disappointed with it to be honest. The story was slow, personally I prefer a fast paced read but I appreciate that is just a matter of taste. The book seemed to me to be written as if in an older era although there was mention of modern items so I got the overall impression that it was meant to be present day. And yet the names used for the children of Inspector Devlin were most definitely those of a few generations prior, it was conflicting and confusing. Having said that, I can’t help wondering if the book version of Midsomer Murders (which I love to watch as a TV show) would read just as slow. There are a few tenuous links holding the story together and it certainly isn’t edgy or fast paced, but on the whole it is a good debut novel and I’m sure that future books will improve as the author hits his stride. I think my biggest concern was that I didn’t find myself warming at all to the lead character, Benedict, try as I might I just couldn’t make myself like him. Synopsis: The corpse of local teenager Angela Cashell is found on the Tyrone- Donegal border, between the North and South of Ireland, in an area known as the borderlands. Garda Inspector Benedict Devlin heads the investigation: the only clues are a gold ring placed on the girl’s finger and an old photograph, left where she died.